They say steamboat or hotpot goes well with cold weather but in KL, we have it all year long even with rain, shine or flood. The traditional steamboat restaurants offer set meals per person with simple soup based such as herbal and tom yum soup (sweet and sour). You can add on with side dishes. 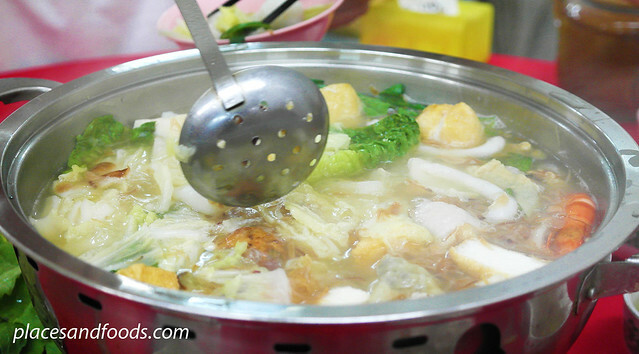 Most of the common food that goes with steamboat is fish, prawns, chicken, noodles, eggs, taufu (beancurd), mushroom, cabbage, fish ball, meat ball and etc. The common condiment is chili sauce. Then, the modern steamboat offers more selections on soup as well as food selections. Some soup is rice porridge based and the new ones are pumpkin based. There was once a restaurant offer bakuteh soup based but it didn’t turn out well. I had yam with fish bone soup and it was good. Same goes to pork bone soup. For food selections, there are sliced beef, lamb and pork but they are not cheap. Thus, there are more selections on the condiments too such as fermented beancurd. Lok lok is steamboat on mobile using converted mini trucks. Lok lok is extremely popular with youths and the younger generation because you pay what you eat. Lok lok trucks are often parked in front of pubs, entertainment outlets, shopping malls and other popular places. Food in skewers can be dipped in small hotpots and often compliment with chili and sweet sauce. Most of the food include chicken, meat, seafood, meat balls, vegetable and also modified version of duck feet parcel. Now, Lok Lok trucks also offer deep frying service. 34A, Jalan Desa, Taman Desa, Batu 3 ¼, Jalan Kelang Lama, 58100 Kuala Lumpur. It is believed to be originated from Southern China and it is widely available in Malaysia and Singapore. However, the best still comes from KL. Rice cooked in claypot with gas or charcoal with diced chicken, sliced Chinese sausages (lap cheong) and topped with chopped spring onions and bits of salted fish. The entire pot is fused with dark soya sauce and other secret ingredient (if any). It sounds simple to do but many outlets tend to burn the rice. 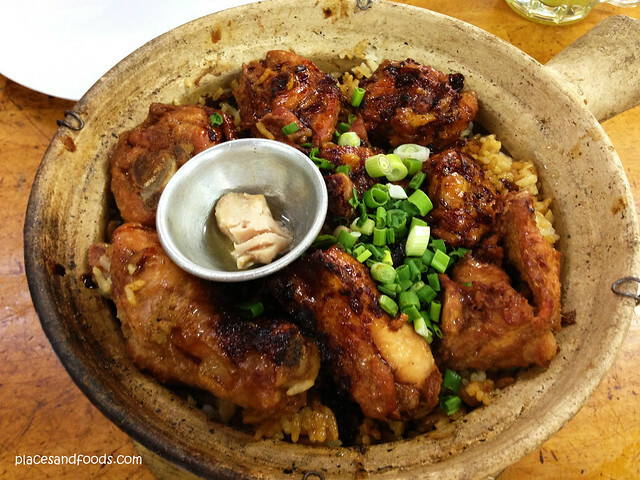 It takes lots of skills to cook a perfect claypot rice and the sauce is important too to keep it flavourful. Other version might add eggs but it is best to keep it simple. The inclusion of salted fish intensified the flavour and claypot rice that cooked with charcoal tastes better.